Meditation has gained a lot of popularity in the past decade owing to its effectiveness. Meditation means a cessation of thought process. It is not a complicated process but simply an awareness of one’s thoughts and actions. It is about observation. Watching your breath is also meditation. Top businessmen use simple meditation exercises like chanting ‘Om’ focusing on the tone with eyes closed to relax and find inner peace and clarity. Meditation improves our ability to focus, reduces stress and boosts our creativity. Besides practicing mindfulness, some activity for the heart is an absolute necessity. Therefore all the top CEO’s perform some or the other cardiovascular exercise like jogging, running etc. It not only helps them keep their bodies in proper shape but also releases endorphins and dopamine in their system which are popularly known as happy hormones. These hormones reduce stress and improve the happiness quotient in an individual. Breakfast is the most important meal of the day. It sets the tone for the rest of the day and the successful people capitalize on this fact very well. It is said that the breakfast should be the heaviest meal of the day. But not only should it be the heaviest meal but the healthiest too. A healthy breakfast constitutes a balanced diet and generally includes low-fat milk, eggs, peanut butter, whole grains, fruits etc. People who eat a healthy breakfast have improved academic and emotional functioning leading to success in all domains of life. Mind hacking is a very interesting tool to instill beliefs in our system. We are what we constantly think. Thoughts lead to beliefs which lead to emotions which lead to actions which lead to a result. So, the better and the bigger we think, the more are the chances of success. The successful people know this fact and hence to install positive beliefs, they use positive affirmations like, “I can do this,” “I am enough.” Not only does this magic to their positive beliefs but also it keeps negative thoughts at bay. Positive affirmation involves a self-talk in which one tells positive things to oneself. The illusion that one is creating through these positive affirmations soon become the reality of a person. Hence the beliefs are changed. What is required is patience and perseverance to see the effect of positive affirmation. Since we have accumulated the negative beliefs from a long long time, their washout will require some time. The ‘Law of Attraction’ which talks about creating a reality through illusion gained a lot of popularity after the book ‘The Secret’ was released. As given on Wikipedia, the Law of Attraction says that by “focusing on positive or negative thoughts a person brings positive or negative experiences into their life. 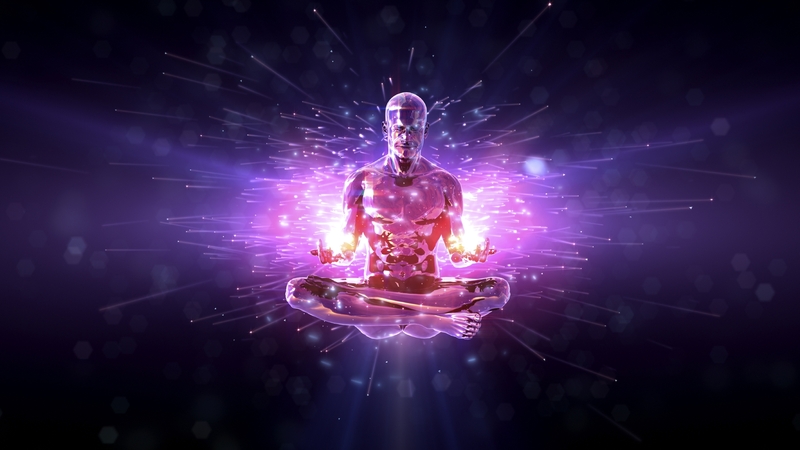 The belief is based on the idea that people and their thoughts are both made from “pure energy” and that through the process of “like energy attracting like energy” a person can improve their own health, wealth and personal relationships.” There is no doubt that this works as long as the application is made on one’s thoughts and the process instead of things and objects. For example, just visualizing that you have bought a Ferrari and are driving it won’t get you anywhere no matter how concrete the details are in your picture. This is not how this law works. The wealthiest people know the proper usage of this law and they implement it in their daily lives to be what they are. Failing to plan is planning to fail. The successful people plan their day in advance. They make an intention to set goals right in the beginning of the day so that they are prepared and organized. They know the art of goal setting and how to break the bigger, overwhelming goals into smaller chunks and include them in their to-do list for the day. What gets written gets done. When we are taking the time out to write down our goals and ambitions instead of just thinking about them in our mind, we are giving exclusivity to those tasks and our mind gets to know that those tasks are really important and must be done. Do you write down your goals or do you just keep it in your mind? Firstly, cold showers totally wake you up if you’re still feeling lethargic. Cold showers increase one’s alertness and focus. They reduce stress and strengthen one’s immune system. Since people are reluctant to very cold water, in a way, they increase your willpower as well. Cold showers can give you the much-needed kick start to your day and make you more productive besides all the health benefits. The great people value their health above anything else. Hence, they try to extract all the health benefits from little things in their routines, as little as showering. In today’s world, the majority of the people are bombarded with negative emotions regularly. It damages their self – esteem to a great deal. Iconic performers know that they can’t let anything take a toll on their self – confidence and self – esteem in any way. So, along with the practice of meditation, positive affirmation and visualization, they practice gratitude too to keep their negative thoughts in check. By writing down things/people that you’re grateful for, you’re focusing on the positive emotions instead of negative which sets the positive tone for the rest of the day and the negativity is kept at bay. I suggest you take out a piece of paper and wrote down 5 things that you are grateful for and after finishing it, reread it feeling your words and observe the flow of positive energy within your body. That’s it. These are the 8 things that successful people do before 8 AM. Do you want to lead a successful life? How many of these are included in your routine and how are you going to include more, if not all? Wishing you a great life! An engineer to be with a love for learning!. Writer at The News Geeks.